Hollow Core Bit System for SDS Max & Spline Drive Rotary Hammers. System uses tapered design for quick and easy changing of core head. For use with Spline shank and SDS-Max® shank rotary hammers. Multiple teeth assure fastest cutting and debris removal. Manufactured from vacuum heat treated tool steel. This item is meant to be used with the purchase of an SDS-Max® or Spline-Drive Adaptor and Center Bit (Sold Seperately). 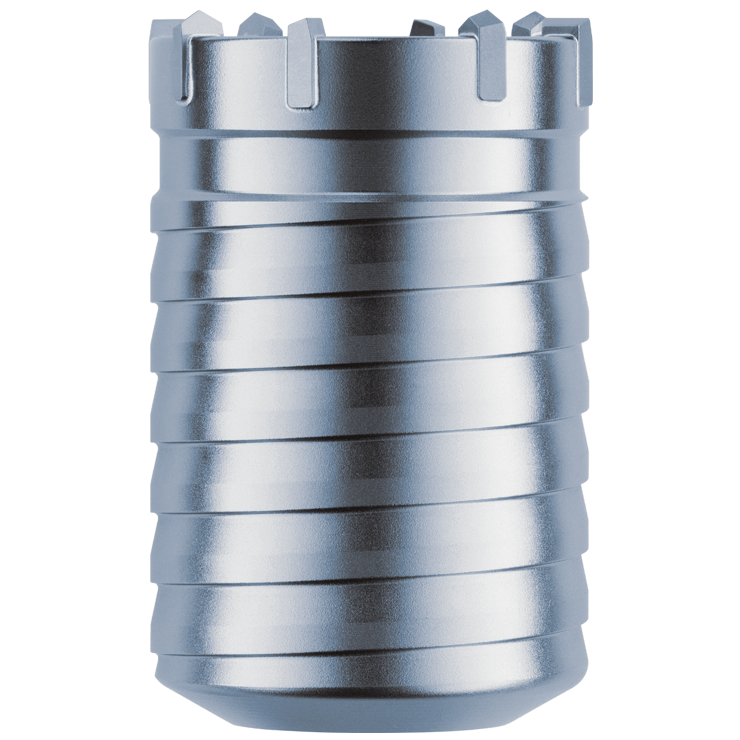 Hollow Core Bit System for SDS Max® & Spline Drive Rotary Hammers. The hollow core bit taper is a multipart, modular tool system. With different adapters, it is possible to use the system cost-effectively for various applications. For use with Builders Depot Hollow Carbide Core Bit System for SDS Max & Spline Drive Rotary Hammers. For use with Spline shank and/or SDS-Max® shank rotary hammers. Multiple teeth assure fastest cutting and debries removal. All Teeth GN1000 Grade Carbide set with negative set and positive rake to cut non-reinforced concrete. This item is meant to be used with the purchase of a Builders Depot® SDS-Max® or Spline-Drive Adaptor and Center Bit (Sold Seperately).